VM licensing has always been a confusing topic for many users due to the multitude of implications and liabilities that it entails. Currently, Microsoft customers who want to build a highly functional Hyper-V environment can choose between two deployment options: the Hyper-V role on Windows Server and free Hyper-V Server. Unfortunately, when choosing between the two options, customers rarely consider the implications that go along with each of them, especially in terms of licensing. Installation. Hyper-V Server 2016 is ready for use right after the installation operation is complete. As for Windows Server 2016, you first need to install Windows Server 2016 and then manually enable the Hyper-V role on your computer. Apart from the Hyper-V role, Windows Server also includes various server roles and features, thus, providing more advanced functionality than the Hyper-V Server. Hyper-V Server, on the other hand, doesn’t allow for the installation of any other server role except for Hyper-V.
VM management. In Hyper-V Server, command line tools can be used for Hyper-V management, or you can manage a free Hyper-V Server 2016 remotely with the help of Hyper-V Manager or Server Manager. As for the Hyper-V role on Windows Server 2016, you can use a wide set of management and monitoring tools, including both command line and graphical user interfaces. Price. You have to purchase an expensive Windows Server 2016 license before you can enable and use the Hyper-V role. On the other hand, you can download and install the Hyper-V Server for free. 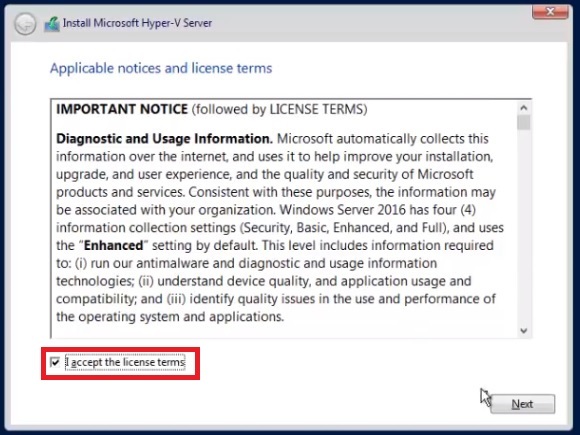 With free Hyper-V Server 2016, guest VMs should be licensed separately. At the same time, Windows Server 2016 Standard edition provides licenses for two Windows-based VMs. More so, Windows Server 2016 Datacenter Edition includes licenses for an unlimited number of Windows-based VMs. In one of our previous blog posts, we described in detail how Hyper-V role and Hyper-V Server differ in terms of installation, user interface, VM management, clustering, use cases, and licensing. However, many people find the topic of Hyper-V VM licensing a bit confusing as it tackles such serious issues as the license agreement and user’s legal responsibilities. So, what is the main difference between the Hyper-V role and Hyper-V Server when it comes to licensing? The short answer is that Hyper-V Server can be downloaded for free from the Microsoft Download Center and doesn’t require an activation key, whereas Windows Server must be licensed in order to properly function and enable the Hyper-V role. Now, let’s discuss in detail how Hyper-V VM licensing differs on Windows Server 2016 and free Hyper-V Server 2016. Windows Server is licensed on a per-core basis, meaning that all physical cores in the server must be licensed. Each physical processor requires at least 8 core licenses whereas each server must have at least 16 core licenses. Core licenses are sold in packs of two. Standard and Datacenter editions are available. Windows Server 2016 Datacenter Edition license is perfect for highly-virtualized environments, whereas Windows Server 2016 Standard Edition license is recommended for small datacenters or non-virtualized environments. Windows Server 2016 Datacenter Edition provides an exclusive set of virtualization features, including Storage Spaces Direct, Shielded Virtual Machines, and software-defined networking. Windows Server 2016 Standard Edition provides licenses for up to two operating systems (OSs) or Windows Servers containers with Hyper-V isolation. If you want to add one or more VMs, you need to purchase an additional Windows Server 2016 Standard Edition license for a physical server. Windows Server 2016 Datacenter Edition provides licenses for an unlimited number of OSs and Windows Servers containers with Hyper-V isolation. Even though the license is bound to a specific hardware device, you can still transfer the license from one piece of hardware to another. However, once it moves, it can’t be transferred again for 90 days. Exceptions are possible only in cases of host failure. The license agreement states that a single license cannot be used for multiple computers. Even if Hyper-V hosts belong to the same cluster, you still cannot move the VM from one host to another without purchasing the required licenses. Thus, you need to ensure that the target host has the proper license for the OS running on the VM that is being moved. As a rule, you should determine in advance the number of nodes you have in a cluster and how many VMs each node will probably run. After that, you should decide which Windows Server edition to apply. For example, if a single node is about to run ten VMs, then you should purchase five Standard edition licenses or a single Datacenter edition license. It is the CPU core that is licensed. The OS instance, whether physical or virtual, doesn’t receive a license. Free Hyper-V Server 2016 can be used for an unlimited period of time, without requiring additional payments. Unlike Windows Server 2016, Hyper-V Server doesn’t provide any guest licensing rights, so you must purchase licenses for guest Windows OSs separately. You can use VMs running Linux-based OSs without purchasing licenses. Hyper-V Server can be used for virtualization purposes only. Other server roles (i.e., a web server, file server, database server, etc.) must not be enabled on Hyper-V Server. Free Hyper-V Server 2016 doesn’t provide the same set of visualization rights which you receive with the Standard or Datacenter editions of Windows Server. Hyper-V Server has its own licensing requirements. As you know, Windows Server provides you with licenses for one physical instance and two virtual instances. Hyper-V Server, on the other hand, includes only one license for a single OS instance, whether physical or virtual. Hyper-V Server is free, meaning that you can deploy as many OSs running Hyper-V Server as you need. Hyper-V Server can be upgraded at any time, without requiring additional costs. Moreover, you can easily transfer your free Hyper-V Server 2016 from one physical computer to another, without purchasing additional licenses on the target host. Hyper-V Server vs Windows Server Licensing: Which Is More Suitable? When comparing free Hyper-V Server 2016 and the Hyper-V role on Windows Server 2016, it becomes clear that the main distinction between them relates to licensing models, server capabilities, and VM management. Let’s discuss these criteria in detail and determine why they are so important. The most obvious question in regard to Hyper-V Server and Windows Server licensing is ‘Why should I purchase an expensive Windows Server license when I can get Hyper-V Server for free?’ The answer is that the licensed Windows Server 2016 provides more features and opportunities for your virtual environment than free Hyper-V Server 2016. With Windows Server 2016 Standard Edition license and Windows Server 2016 Datacenter Edition license, you receive rights to two VMs as well to an unlimited number of VMs respectively. Thus, you can be sure that your VMs and Hyper-V host are properly licensed and your Windows Server 2016 can be serviced and supported by the Microsoft team. On the other hand, if you decide to go with free Hyper-V Server 2016, you will have to purchase additional OS licenses for all VMs running in your system. Even though choosing and purchasing an OS license for every VM in the system might seem like a challenging and resource-intensive task, you still should not stop using Hyper-V Server. In fact, you can greatly benefit from use of free Hyper-V Server 2016 by installing open-source OSs, which are available for free and can be easily accessed and used by anyone. Currently, the most popular open-source OSs in the market are: Ubuntu, Linux Lite, Fedora, Linux Mint, Solus, Xubuntu, Chrome OS, and ReactOS. They provide a high level of productivity and a rich feature-set, which makes open-source OSs a great alternative to using licensed Windows-based OSs. As you already know, free Hyper-V Server 2016 and the Hyper-V role on Windows Server 2016 are essentially the same hypervisor with similar sets of features and server capabilities. However, while Windows Server 2016 provides a wide range of server roles, free Hyper-V Server 2016 serves only one purpose, which is server virtualization. If you only need a server for purposes of virtualization and want to minimize costs associated with Hyper-V deployment, free Hyper-V Server 2016 is the best choice for you. However, if you need a server with an advanced set of server roles and capabilities, you are prepared to purchase an OS license, and want to enjoy the benefits of readily available technical support, then you should deploy Windows Server with the Hyper-V role enabled. Due to the fact that free Hyper-V Server 2016 doesn’t come with a graphical user interface (GUI), the only way to manage the virtual environment would be through command line tools (PowerShell, Sconfig, etc.). Alternatively, you can manage Hyper-V Server remotely using Hyper-V Manager or Windows Server Manager. This way, you can avoid the pitfalls of using either Hyper-V Server or Windows Server and make the most use of these deployment options. 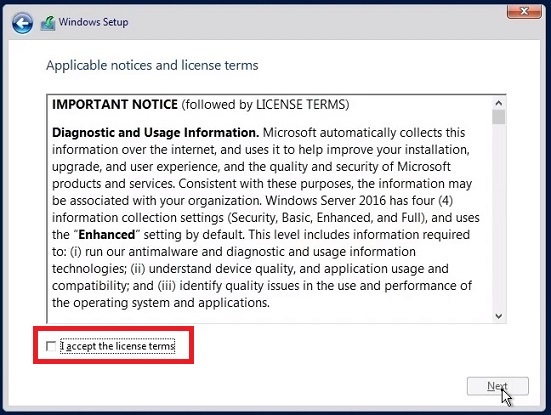 Nevertheless, before starting to build your Hyper-V environment, you should pay attention to VM licensing and understand the licensing implications in full. After choosing the deployment option you want to use in your Hyper-V environment, you should ensure that your Hyper-V system is securely protected and can be rapidly recovered in case of disaster. 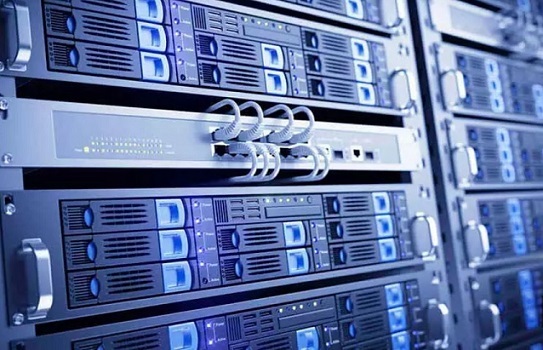 For this purpose, consider installing an efficient and affordable data protection solution which can back up, replicate, and recover your VMs onsite, offsite, and in the cloud. NAKIVO Backup & Replication can do all of this and even more. Improve backup speed and reduce backup size with network acceleration, data deduplication, compression, and exclusion of swap files. Protect VMware, Hyper-V, AWS EC2, and Nutanix environments with a single product and easily export VMs across different platforms. Copy backup jobs and send these copies offsite or to the cloud. Automate and orchestrate the entire disaster recovery process using Site Recovery (SR) workflows. Perform non-disruptive recovery testing of your SR jobs to ensure their efficiency and that your recovery objectives can be met. Use a simple and intuitive user interface to easily schedule data protection jobs and then view them in the Calendar Dashboard. Save time and effort with Policy-Based VM Protection. You can set up specific policies that regularly scan your environment and automatically protect the VMs which match these policy rules. However, this is only a small part of what NAKIVO can do! Request a live demo by one of our engineers or download a full-featured free trial to test NAKIVO Backup & Replication in your virtual environment today and see for yourself the multiple benefits that the product can provide. Moreover, NAKIVO Backup & Replication v8.5 will soon be available and it brings even more efficient and exciting features that are definitely worth your attention. Test NAKIVO Backup & Replication v8.5 Beta in your environment to learn more about the product’s new functionality!